This couple ran a daycare from their home. Meanwhile, a $1 million grow operation was fully functioning in their backyard. West Haven, Connecticut is normally a sleepy town, with a low crime rate and friendly citizens. That is why police and neighbors were shocked when a grow operation with more than 600 cannabis plants were discovered in the backyard of an at-home daycare center. The homeowners and day care operators, who have not been named, are said to be quiet and keep to themselves but were not without their strange habits. 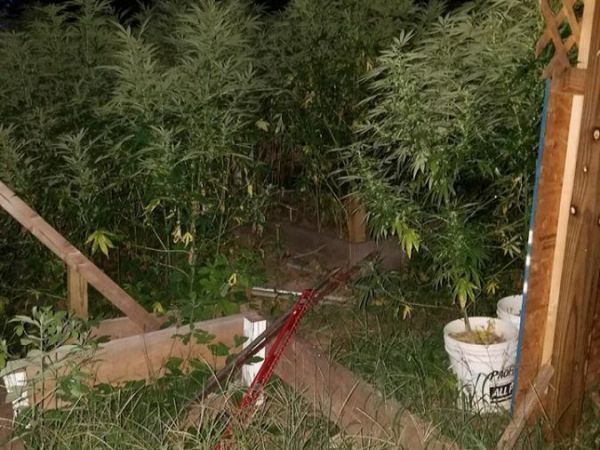 Police in West Haven, Connecticut discovered over $1 million in cannabis crops located directly behind a small, at-home day care center. Some plants were over ten feet tall, yet went undetected by surrounding neighbors and passersby for an undetermined amount of time. I should have smelled that. That’s crazy. I didn’t expect that. And they have a daycare? Not good. Stranger still, one neighbor, Frankie Torres, even mentions seeing the couple building something in the backyard. Despite what seem like suspicions, no one ever came forward with any concerns about the couple’s actions, so they must not have been too peculiar. I saw them building like something in the back, in the yard, for months. So, it’s kind of like a fort back there. I just thought it was a regular fence. According to county records, since 1995, the couple who owns the home, and most likely the grow operation, has been caring for at least six children on a regular basis in their at-home daycare. While we might all agree, growing cannabis should be legalized, there are fine lines where children are involved. If the children were exposed to the cannabis, parents have every right to prosecute the couple, as it is no one’s place to expose children to drugs of any form, natural or otherwise, without a parent’s consent. As of now, no charges have been filed against the couple and they have not been arrested, as investigations are ongoing. However, if charged with the grow operation the couple could be facing multiple felony charges, including the risk of injury to a minor and operating a drug factory. Do you believe this couple is in the wrong? Share with us on Facebook, Twitter or in the comment section below.